If Private Ancillary Funds (PAFs) do not remain private, under the current reform process, it is likely that their growth, and that of the philanthropic sector, will significantly diminish, argues Peter Winneke, Head of Philanthropic Services, Myer Family Company. Under the current Not for Profit reform process, including the introduction of the national charity regulator, Private Ancillary Funds (PAFs) should remain exempt from reporting publicly. The Australian Charities and Not for Profits Commission (ACNC) can have a positive impact on the community. The Federal Government recently referred the draft ACNC legislation to the House of Representatives Standing Committee on Economics for an inquiry. The Not for Profit (NFP) and philanthropic sectors are inextricably linked with one relying on the creation of the other as another source of revenue and in some cases further assistance in programmatic design and implementation. The national regulation of the NFP sector, taking into account the needs, requirements and vast differences of NFPs, can be successful in further growing and professionalising the sector. Improved NFP regulation should promote a strong and sustainable sector underpinning strong philanthropic engagement in the community. The most important goal of national regulation should be to remove the current duplication while streamlining requirements to provide consistency and minimise compliance costs. But the privacy of Private Ancillary Funds (PAFs) is important. Each entity registered with the ACNC will have to provide designated information to a publicly available ACNC register. In order to build a culture of giving in Australia PAFs should be exempt from reporting publicly. If families wanted to do so they would establish a Public Ancillary Fund, which solicits funds from the public and thus should report publicly. The introduction of PAFs in 2001 has arguably had a greater positive impact on this country’s small philanthropic sector than any other measure in our history. If PAFs do not remain private in nature it is likely that their growth, and that of the philanthropic sector, will significantly diminish, to the detriment of the community. In our experience the vast majority of existing founders of PAFs are appalled at the breach of trust relating to the possibility that family foundations that were established within rules stating that they would be private, would now suddenly become public in nature. Many would simply wind up. PAFs are already subject to significant accountability, probably more than any other charitable entity in the country, via the tight PAF Guidelines and the annual lodgement with the Australian Taxation Office (“ATO”) of a PAF Return, which includes audited financial statements. We need to build a culture of giving in this country, in order to build the organisational capacity of our primarily grossly under-capitalised NFPs in order that they can serve the community and achieve their mission. It is the growth of PAFs that has been driving the growth of the small philanthropic sector in this country. The number of PAFs increased rapidly until 2008, by which time approximately 750 PAFs had been established, with an aggregate corpus of approximately $1.9 billion. In the last four years the number of PAFs being established has diminished. There are now approximately 1,000 PAFs in existence, with only approximately 50 PAFs currently being established each year. The Global Financial Crisis and subsequent economic issues have had a negative impact on the establishment of philanthropic family foundations. However, from our experience we believe the most significant adverse impact on the establishment of PAFs since 2008, and thus the growth of the philanthropic sector, was the release in December 2008 of Treasury’s PAF Discussion Paper which effectively sought to abolish the privacy and perpetuity of PAFs. Whilst this did not eventuate, there remains a significant fear within families that the privacy of PAFs would again be targeted by Treasury. If community groups are well managed and doing good work, PAF directors hear of these projects and make appropriate grants. Our experience has shown that giving in a structured way through a family foundation increases the likelihood of maximising community outcomes as it is done in a more strategic and disciplined manner, with a focus on making larger long term grants. This often results in more satisfaction and an increased level of giving to the foundation, as well as a more focussed approach to solving systemic problems in our society. The Potter, Fairfax and Myer Foundations of the future, providing significant critical funding to hundreds of community organisations each year, are being established today, as PAFs. We need to protect and encourage this. We are just starting to build a culture of giving in this country. Much of the wealth in Australia has been created in just the last 30 years and the philanthropic sector is very immature; now is not the time to experiment with it. About the author: Peter Winneke. Peter Winneke is a qualified Chartered Accountant. Over many years of overseas travel he developed a passion for philanthropy's ability to address some of the world's inequity. 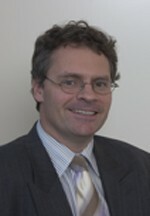 He joined The Myer Foundation in 2003 as Finance Manager. Motivated by a desire to drive the growth of the philanthropic sector, in 2004 he founded MF Philanthropic Services, a division of The Myer Family Company. In recent years he has established 70 foundations and assisted with the implementation of their strategic giving programs. He is Secretary of the Sidney Myer Fund and The Myer Foundation. Peter is right to highlight the need for ongoing giving in the Australian community and the valuable role that high net worth indiividuals and families play through PAFs. However his, and his clients’, concerns about accountability seem misplaced and not unsolvable. His suggestion that “if community groups are well managed and doing good work, PAF directors hear of these projects and make appropriate grants” is totally at odds with his fear of being swamped by 27,000 DGR’s requesting assistance. PAF directors cannot possibly be across the management and work of that many organisations, leaving the funds to be allocated to ‘the usual suspects’ with well-oiled PR machines and well-developed networks. His first two concerns (being flooded with requests and higher administration costs) could be effectively managed by intermediary specialists in the field, including his own Myer Foundation. His next three concerns (anonymity regarding grant sizes and the givers’ privacy and security) can be addressed by not publishing the individual amounts – these are presumably already provided to the ATO – and by the fund having an operating name that doesn’t specify its owners. However the detail of how this is managed is of less concern to me than the need for Australia’s charities and not-for-profits to be aware that there are funds available other than those provided via public funds. Those funds are there because of the tax concessions the government gives them on our behalf and the smaller, harder to ‘sell’ worthy causes need access to every possible avenue of support. Added to this is the inane and archaic ‘charity’ definition in Australia that locks out tens of thousands of worthy community initiatives from access to funds such as PAFs because they cannot offer deductibility to donors. While encouraging a culture of giving we need to match it with a culture of innovative thinking about how issues such as these can be addressed and waiting for governments to do it for us will be futile.